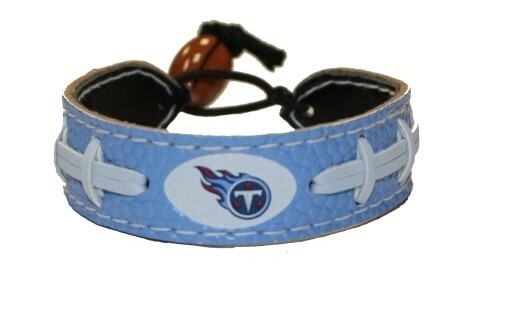 This is a Tennessee Titans Classic NFL Football Bracelet. Support the Titans by wearing a classic team football bracelet! This handmade bracelet is made of genuine football leather. The bracelet also features a ceramic football bead and elastic loops for closure. There are two loops for adjustable sizing, making sure your bracelet is secure. One size fits all, and will fit most children and adults.